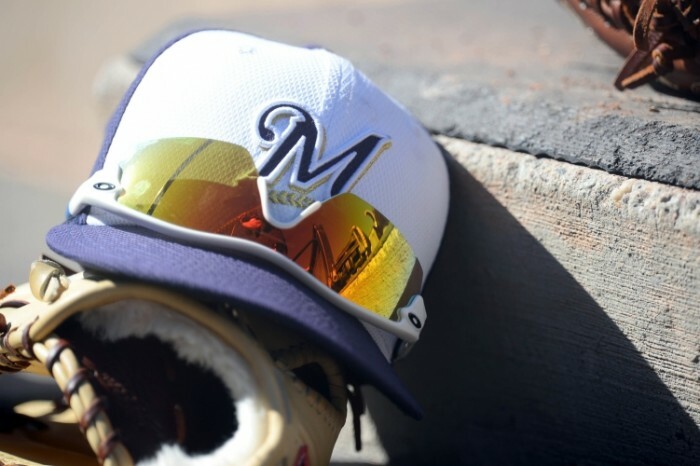 After a disappointing slump into the All-Star break, the Brewers endured another tough weekend on the field, losing two of three games to the Dodgers at Miller Park. The team could not put together a single game where the starting pitcher and bullpen both pitched well. The Dodgers outscored the Brewers 9-3 in the first three innings of the series, and the offense could not overcome those early deficits. Milwaukee remains in second place in the division as the Cubs also treaded water over the weekend. Taylor Williams appeared in two games over the weekend; in two innings pitched, he allowed seven runs on nine hits and three walks with two strike outs, while his Earned Run Average (ERA) jumped a full run. Williams is primarily a fastball/slider reliever, with the fourseam fastball as his primary pitch. 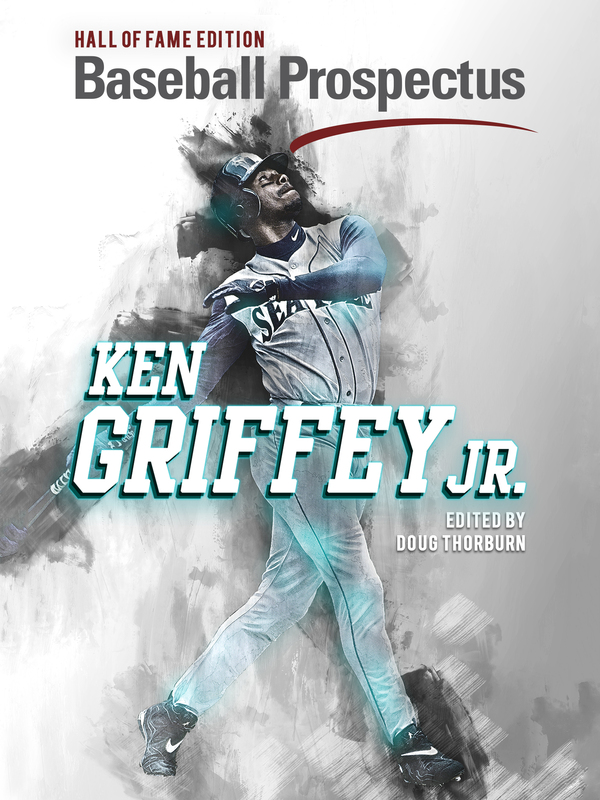 Against left handed hitters, he starts off hitters with a fastball, then increasingly is willing to throw the slider, maxing out his usage rate for the pitch when the batter has two strikes, throwing it out the zone to generate swings and misses. When facing righties, there isn’t a particular sequence, other than that Williams prefers the fastball if he falls behind in the count. Overall, Williams is looking to keep the ball low and away from the middle of the plate to sustain his success. So what happened over the weekend? Williams had some trouble with his location. 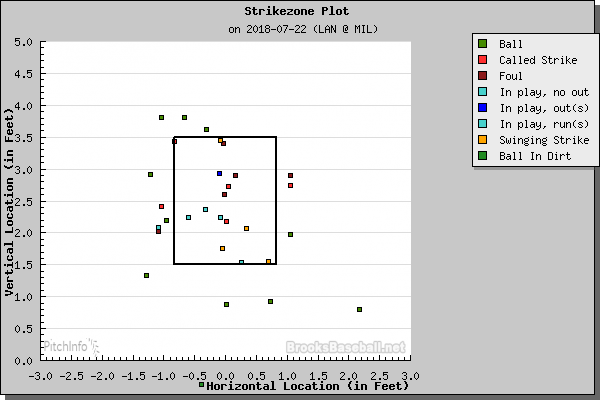 On both plots, there are too many pitches up and over the middle of the strike zone. Considering he threw twenty sliders over the two outings, there are not enough pitches buried low. 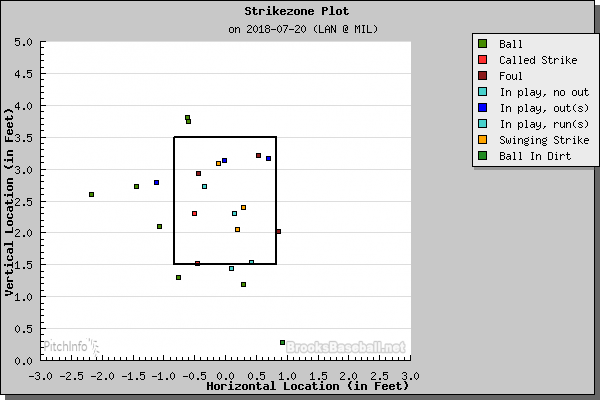 Interestingly, even with the lack of feel on the pitch, only two of the hits came against sliders which caught too much of the strike zone. Batters have swung at 44 percent of his pitches this season, yet in these two games they swung at 51 percent. The movement on his fastball also slightly changed. He got a little less horizontal break and a little more vertical break, which could explain why he was hitting so much of the plate on his pitches. There was certainly some luck involved in each outing. Poor defensive play and an infield shift created runs out of two balls in play which should have been routine. The Dodgers also got some good swings on well-located fastballs, which is unfortunate but something that happens in baseball. In between his two terrible innings, it’s worth noting that Williams pitched a scoreless inning with two strike outs on ten pitches. It won’t provide much comfort to fans reeling from the past few weeks of baseball, but we probably don’t need to worry about Taylor Williams. Wade Miley started on Friday night, the first game that Williams blew. In his second start since being activated from the disabled list, Miley pitched six innings, allowing one run on four hits and two walks, while striking out two batters. The low strike out numbers is buttressed by the anemic whiff totals, which are below his season (to date) numbers. Miley’s whiff rate for his career is only 21 percent, and his six percent whiff rate on Friday is not sustainable. After using it sparingly in his first start off the disabled list, Miley brought back his cutter on Friday and used it more than any other pitch. However, it was only his featured pitch against right handed batters. Against righties, he had no fear with the cutter, using it most frequently when the batter was ahead, the count was even and with two strikes. 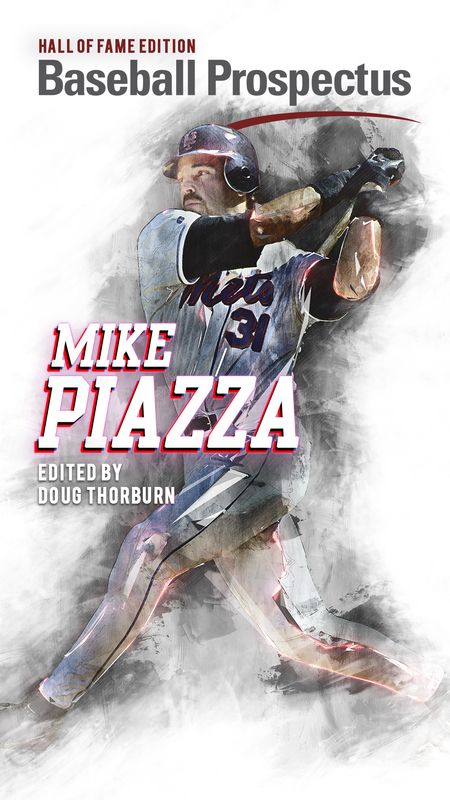 However, against left handed hitters, he used his four seam fastball on more than half of his pitches and paired it with his slider, which he barely threw to righties. It’s not clear whether this is a new overall approach, or just a choice he made for the Dodgers’ lineup because he hadn’t pitched like that earlier this season. It’s also not clear whether Miley can sustain pitching with this approach. By Friday’s game plan, Miley was basically two pitchers: with a fourseam fastball or cutter paired with a slider or changeup as his primary options. Maintaining a feel for all of his pitches against an unbalanced lineup could be difficult. There’s also the pressing question of whether a pitcher with the lack of a proven track record should be experimenting with so many pitches rather than focusing on executing two or three. Regardless, for one night this worked, and it’ll be interesting to see how he game plans in the future. The Brewers have a full slate of games this week. They play Washington in three games at Miller Park before heading to the west coast for four games in San Francisco. The Nationals have disappointed relative to preseason expectations, and they’ve underperformed their Pythagorean over/under by 3.6 games, which is 27th in MLB. The Giants are 31-19 at AT&T Park, which is the third best home record in the National League, coincidentally a half-game ahead of Milwaukee.